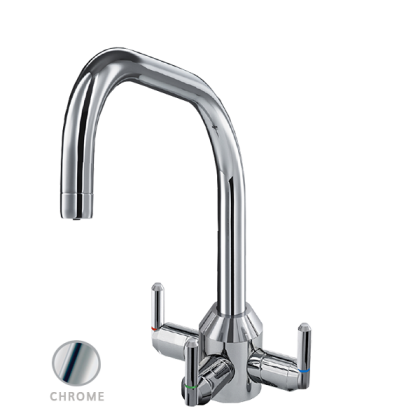 The Triflow Nightingale system boasts a traditional and sleek design, allowing for cold filtered water to be delivered without cross-contamination through a dedicated waterway within a single spout. This cost-effective design is the perfect accessory to update any kitchen. The Plus system includes an upgrade to our Stainless Steel housing. Two year warranty on filtration unit.